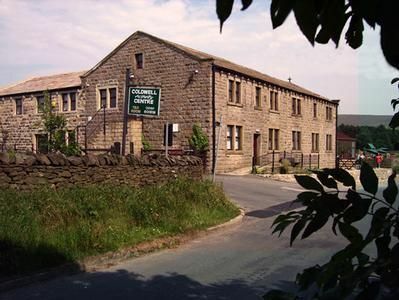 We offer exclusive use of our 12 bedroom centre, sleeping up to 30 people. We boast a comfy lounge, games room with pool and table football as well as our cinema style ‘Den’ with projector screen and X-Box. We offer exclusive use of our 12 bedroom centre, sleeping up to 30 people. We boast a comfy lounge, games room with pool and table football as well as our cinema style ‘Den’ with projector screen and X-Box. Also, you will have access to our conference facilities with interactive whiteboard, it suite with 8 computers and WiFi access throughout the centre. As well as offering excellent facilities at Coldwell, we also offer excellent service. If you don’t fancy cooking during your stay, our fully qualified chef will cater delicious home cooked meals and accommodate any dietary requirements. However, if you don’t fancy waking up to a full English breakfast, and you simply want to get on with the day, then you can always go for our self-catering package. We do a lot more than people realise and therefore if you want to incorporate different activities and events into your stay, then all you need to do is ask. We offer a whole range of activities from abseiling to rock climbing, pond dipping and orienteering, just take a look at the activities page on our website. The building and woodland, overlooking Coldwell Reservoir is only 3 miles from J13 of the M65, making it both secluded and accessible, an ideal environment for a residential experience. Contact Claire Ansell for Enquiries and Availability.